Do you make sure you understand what you’re signing before you sign it? Have you ever signed an agreement only to discover, after it was too late, that it didn’t say what you thought it did? 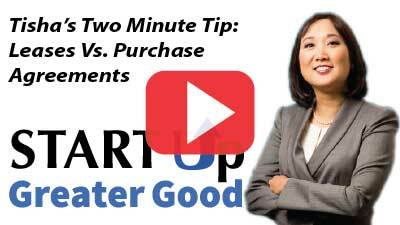 In this week’s two-minute tip, Tisha discusses the common problem of thinking you signed a contract to buy a vehicle when it said a lease (and the additional problem of still owning thousands of dollars)!